Lake Kerkini , is an artificial reservoir that was created in 1932, and then redeveloped in 1980, on the site of what was previously an extremely extensive marshland. Before 1932, there were irregular marsh lakes on Strymon, one of them called “Podkova” Ottoman Turkish: ݒودقوه كولي Podkova Gölü. 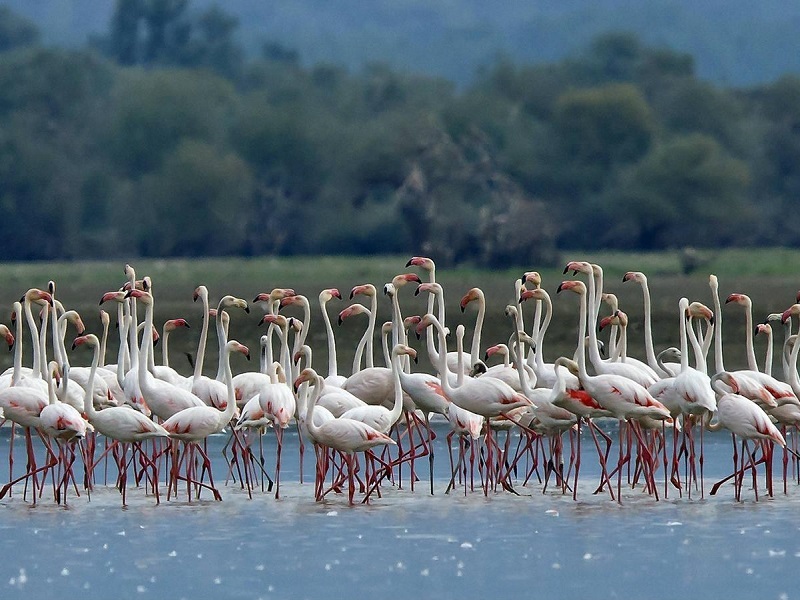 Lake Kerkini is now one of, if not the, premier birding site in Greece, and, as it is situated along the migratory flyway for migratory birds en route to the Aegean Sea, the Balkan region, the Black Sea, the Hungarian steppes and beyond it experiences an interesting migration.